Cynthia Tidwell joined Royal Neighbors of America as President/CEO in 2005. Her vision of leading an organization that empowers women to improve their lives, families, and communities; her experience with company turn-arounds; and her passion for financial education and giving back made her the perfect fit. She is accomplished in all facets of insurance, including sales, marketing, claims, underwriting, agency management, information technology, and human resources, a true general manager with multi-functional, hands-on experience. Her results-oriented and team philosophy has helped build many successful companies and strong leaders throughout her career in the financial services industry. Before joining Royal Neighbors, she was President of Fireman’s Fund Insurance Company (FFIC) Personal Insurance Business, part of the Allianz family of companies. In this role, she led change initiatives to regain business fundamentals and achieved record results, including annual revenues of $900 million. Prior to Fireman’s Fund, Cynthia worked for Xerox Financial Services subsidiary Crum & Forster Managers/Coregis for 13 years. Her significant turnaround skills were developed through a series of difficult, risk-taking assignments. Since taking the helm at Royal Neighbors, Ms. Tidwell has enhanced its portfolio of products and strengthened its sales capability, resulting in record-setting life insurance sales and an increase of member benefit utilization by more than 400 percent. She also has maintained an A- (Excellent) rating from the A.M. Best rating agency. Ms. Tidwell has embraced Royal Neighbors’ century-old legacy of empowering women and aligned the philanthropic mission to meet the needs of today’s women. Under her leadership, Royal Neighbors’ Nation of NeighborsSM Program empowers women with financial assistance to achieve their full potential, realize a sense of renewed personal growth, and make a difference in their communities. Nearly $2 million has been awarded to individuals since 2007. Exhibiting philanthropy through leadership, Cynthia volunteers on behalf of Royal Neighbors by serving meals to the homeless, and joining with employees on various hands-on projects that benefit women. In recognition of her keen business acumen and her leadership abilities, she won the prestigious Stevie Award as Turnaround Executive of the Year in the 2009 American Business Awards. 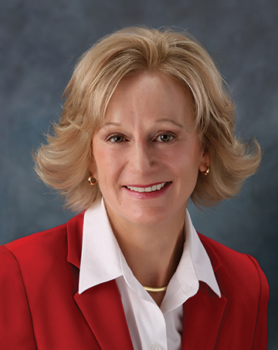 She was named a Professional Woman of the Year in Insurance by the National Association of Professional Women; was the recipient of a 2010 Athena Business Women’s Award for excellence in her profession and for the significant difference she makes in her community; and was also recognized as the 2012 Small Business Leader by the Quad Cities Chamber, and a 2017 Elite Woman in Insurance by Insurance Business America. In addition to her accomplishments in the insurance industry, Cynthia is a member of the ACLI Board of Directors and is chair-elect of the ACLI Forum 500 Board of Governors. She also is a member of the American Fraternal Alliance and the International Women’s Leadership Association. She has also recently completed a 7-year board of director’s role for the Quad City Chamber and was a member of its finance committee. She is a sought-after speaker on leadership and the improvement of women’s health and financial security. Because of her visionary leadership both at Royal Neighbors and within the financial services industry, she has participated in a panel discussion with Jim Collins, renowned author of books which teach leaders and organizations how to succeed by moving them from good to great. She also was featured in American Executive magazine for her turnaround strategies; listed in the Global Directory of Who’s Who, the foremost network of worldwide leadership; and has been a guest on numerous TV talk shows and news channels. Ms. Tidwell is a graduate of Arizona State University, earned the LLIF and the FLMI designations, and was a participant in the Wharton AICPU Program and Hagberg Executive Development. In addition to her President/CEO responsibilities, she serves on the executive committee of the Royal Neighbors Board of Directors. She and her husband, Don, have raised two wonderful sons.